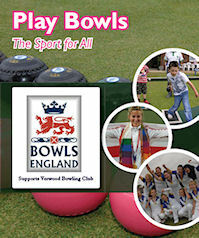 "We cater for all standards of lawn green bowlers who wish to join our Club including those wanting to learn the game. We offer a warm welcome to all those invited to use the excellent facilities available to enjoy your competitive and social Lawn Green Bowling at a friendly and well establish club." Please make a note in your calendar, they will all start at 10am, and finish around 12 noon on each of the days, our Club address and contact details can be found on the Contact Us page. Our Club is always looking for additional members so if you're interested to find out more we would be happy to hear from you. Why not come along on the dates above for a chat over a cup of tea or coffee, and maybe have a go at bowling on our Green. Club members will be on hand to show you around, answer any questions you might have and offer tuition if needed. We have Bowls sets that you can use and our Bowling Green will be open for you to try (Please wear flat soled shoes for your safety and protection of the green). There is no need to book a time just turn up between 10am - 11:30am on the day, our members will make you most welcome. If you have already been to some of our previous OPEN DAYS and enjoyed the experience but would like to have another session or talk further to our members then please come along to any or all of our 2019 open days. Verwood Bowling Club is a friendly Club open to members of all standards. The Club is progressive and is always looking to make improvements for the benefit of the members. If you are new to the game or want to start playing again, then we have experienced players on hand to offer support and tuition. If you are an experienced player looking for a new club we offer opportunities for competitive play in a number of leagues or Club tournements. Please go to the Contact Us page if you would like to make an enquiry about membership or if you would like more information about our Club. We are a private club and our landscaped ground with green and clubhouse, is on the edge of Ringwood Forest and Verwood's Recreational Ground giving us a secluded and a great environment for bowling. Being close to Verwood town centre there is easy access to good coffee shops, banks and other general outlets for your convenience. As well as Lawn Green Bowling, which is undertaken in the season between April - September, we organise a number of social events in order to enhance our enjoyment of the Club spirit away from the rivalry of league play and Club competitions. These run throughout the year making full use of our clubhouse during the season and the winter months. During the closed season we also have regular activities in our clubhouse including Whist Drives on Monday afternoons and Short Mat Bowls on Wednesday afternoon and Sunday morning for all playing and social members. Our Club is very much self funding, and relies on various club events, social evenings and local fetes to top-up our annual membership subcriptions. We also actively pursue sponsorship from local businesses when the opportunity arises. Our strong Club Managemnent Committee drives our activities and provides much of the manpower, along with other membership volunteers, in carrying out maintenance work on the green and clubhouse to keep our facilities in tip-top condition. Our Social Committee arranges and organises the social events throughout the year as well as working closely with the Management Committee to help with Club activities associated with tournament play days, friendly matches and touring team matches. 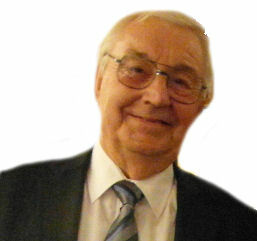 Club Officers are elected or re-elected annually at the club AGM which is held at our clubhouse in October. All members are encourage to get involved with the running of the club or if they wish to apply for election to Officer in order to help contribute in managing and driving the future of the club forward. New members joining our club are encouraged to get involved in all of our organised activities throughout the season and the winter months: Roll-Ups, Friendly matches and Club Competitions throughout the summer months and throughout the winter months there are Social Events, Whist Drive afternoon and Short Mat Bowls in the Clubhouse. New Forest Bowling Association - We plan to have one triples team competing in this league for 2019 in Division 4. The matches consists of four rinks, these are normally played on Thursday evenings. Bowls Dorset - We plan to have one fours team competing in this league for 2019 in Division 2 EAST. The matches consists of three rinks and are normally played on Monday evenings. 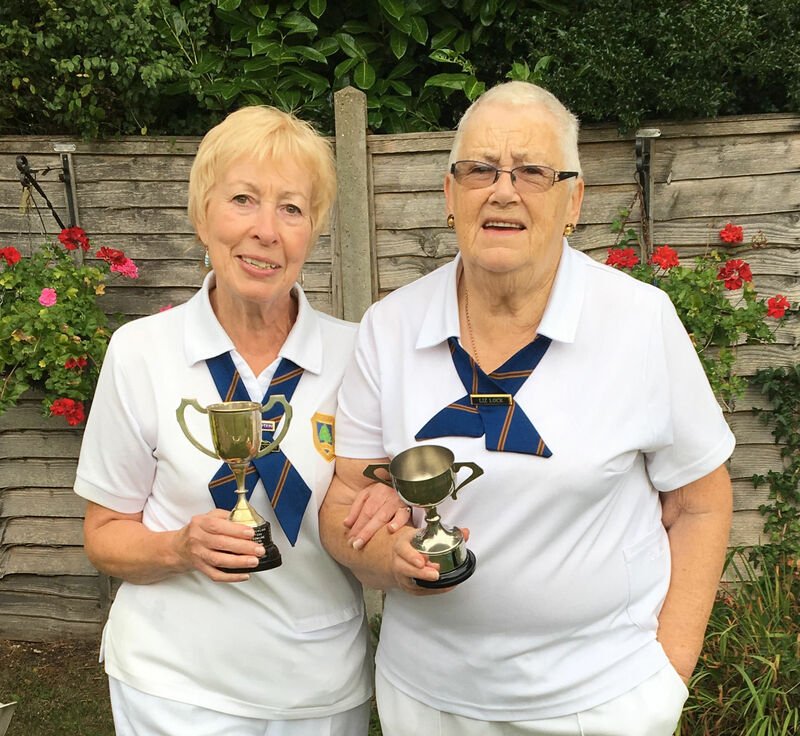 New Forest Women's Bowling Association - We plan to have one triples team competing in this league for 2019 in Division B. The matches consists of two rinks and are normally played on Tuesday afternoon. Dorset Edna Paisley Triples League - We plan to have one triples team competing in this league for 2019 in Division 2 East. The matches consists of two rinks and are normally played on Wednesday morning. All playing members are encouraged to make themselves available for the various teams that we have competing in leagues and competitions throughout the season in order to maximise the Club's ability to be successful. However, it is acknowledged, particularly for new bowlers, that confidence, as well as ability, plays a big part in competetive bowling. To provide match practise opportunities for all members, we run Club only competitions and tournaments throughout the season as well as Club "casual play" at least one evening each week when possible and sometimes on a Sunday morning. 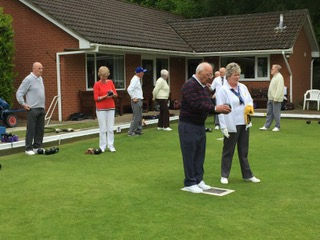 The Club also organises a number of friendly games with either local or travelling bowling clubs throughout the season. Our Team Captains will take these opportunities to encourage players who wish to step up to participate in competeitve league standard games alongside some of our more experienced players. We currently have opportunities for additional playing members, particularly those with experience, in order to enhance our team selections options for league games. Please go to the Contact Us page if you would like to make an enquiry about membership or if you would like more information about our Club. After the long, hot summer with many games being reduced by 3 ends, we played our final league game on 11th September. With mixed results throughout the season we struggled to be consistent in the New Forest league and will move down from the A to B division. Time to regroup and hopefully bring in our new ladies for more games. In the Bowls Dorset Edna Paisley league we finished 3rd in our division and overall 5th in the East Section. In the Bournemouth & District Division E we finished in top position and will be promoted. Several of our newer ladies played in the teams and did well gaining valuable experience. My Captain’s Day back on a very hot day in June was quite challenging but enjoyed by the ladies and a good number of spectators. The cream tea went down well! We entered 2 teams in the NF Triples with both progressing to the 2nd day. Eileen, Angela and Jane we’re delighted to finish in 3rd place. Although we had several friendlies arranged , some were cancelled by the opposition, or by us due to lack of players. Nine ladies went to Swanage BC on 12th September to play a friendly match followed by a fish & chip lunch! I would like to say thank you to all the ladies who have supported myself and my Vice Captain, Anne Jennings this season and congratulate those who had successes on Finals Day. My thanks also go to our Green Ranger, Mike and his helpers who have managed to produce such a good green for us this season. I wish those who play indoors a good season and look forward to more successes next year. The year started with the decision to reduce the number of league fixtures due a reduction of men players available, down to 17 from 34. 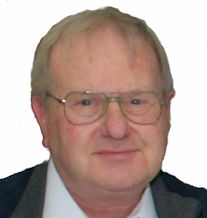 This left one Bowls Dorset team, and one New Forest league team, requiring 12 players per game, plus the Percy Baker and Bournemouth and District Combination leagues, each requiring 6 players per game. There were still several occasions when we were only just able to field a full team. This was particularly the case when Percy Baker fixtures fell on a Thursday, the same day as the New Forest fixtures. Most of our members felt unable to play two games the same day. The season stated 28th April with the new combination of players failing to find consistency in obtaining results. Match fitness improved through May and although the wins were sparse the points difference per game reduced. 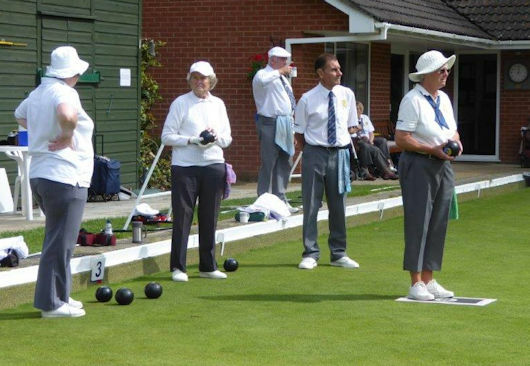 Into July the team structure seems to gel and some success in the Bowls Dorset and New Forest Leagues was seen. Two comprehensive wins in the final 2 Bowls Dorset games meant we were able to avoid relegation. We were not so fortunate in the New Forest league, being relegated, and finishing second from bottom. The Percy Baker, and the Bournemouth and District league players met with little success both finishing bottom. The consensus of opinion is that the player who has showed the most improvement in his bowling skills this year is Dan Ferguson. To close I would like to thank my vice-captain Phil Prince and Geoff Symonds for all their hard work in setting up and maintaining the new web base system for availability, and would applaud the dedication and commitment of our men in their support of our efforts. Finals Weekend was blessed with fine weather, Saturday a little windy, Sunday vey warm. John Maskell won his duel with Jim Scutt and became our "Mens Singles Champion" for the second season running and Anne Jennings won her match against Liz Lock to become this seasons "Ladies Singles Champion", very well done to both of you. All competition finals were completed over the two days and the full list of results can be found on our Competitions page. In place of our normal BBQ, this year the Ladies did bacon rolls, sausage rolls and bacon & cheese pannis for lunch, and in the afternoon out came the assorted cakes, very nice indeed and went down a treat!. The change in catering arrangements for this year was very much appreciate by everyone and gave the Club an option to mix up the format of Finals Day with something different. Unfortunately, this year has not been a great year for me [health wise], my legs in particualr have been very painful. I therefore feel that the time has come for me to hand over the position of Competition Secretary to a younger person with new ideas and a fresh outlook for the future. After much pondering, I have decided not to stand for re-election for the new season. I would like to give a mighty thank you to all of you that have helped me in my capacity as Competition Secretary for many seasons, many of you at short notice too, and also to all of you that have competed in the matches, watched the matches and supported the competitors which has made it possible for so many to enjoy the event and the social gathering that Finals Day has brought for many years. Long may it continue in the forthcoming seasons ahead.